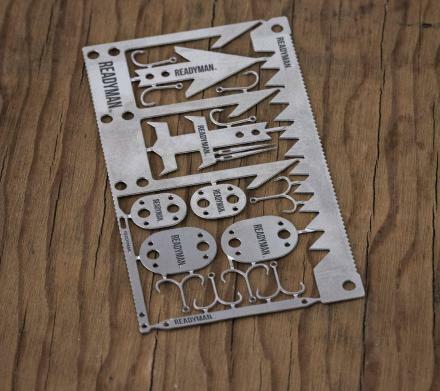 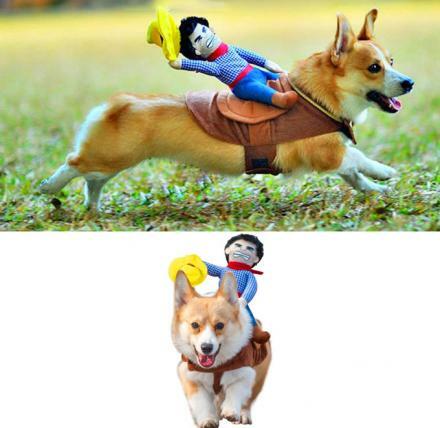 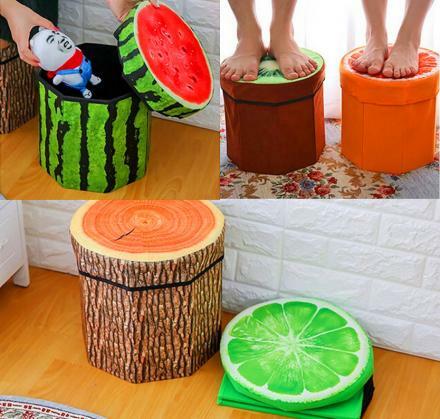 When it comes to unique bookends and book holders, the list is long. With some of the coolest including the Superman holding up books bookshelf, the katana sword bookends, along with the concealed floating bookshelf that makes it look like your books are hovering on your wall. 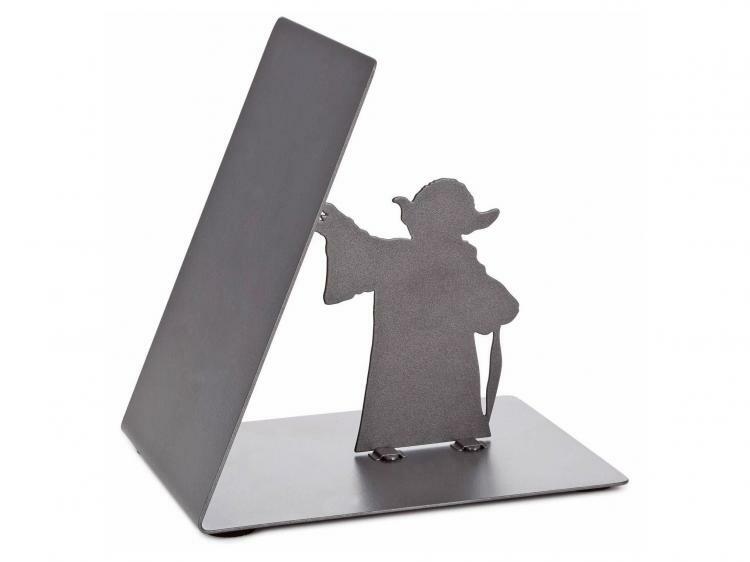 The last one bears some similarity to this awesome Yoda bookend, that makes it seem like Yoda is holding up your leaning books with the force! 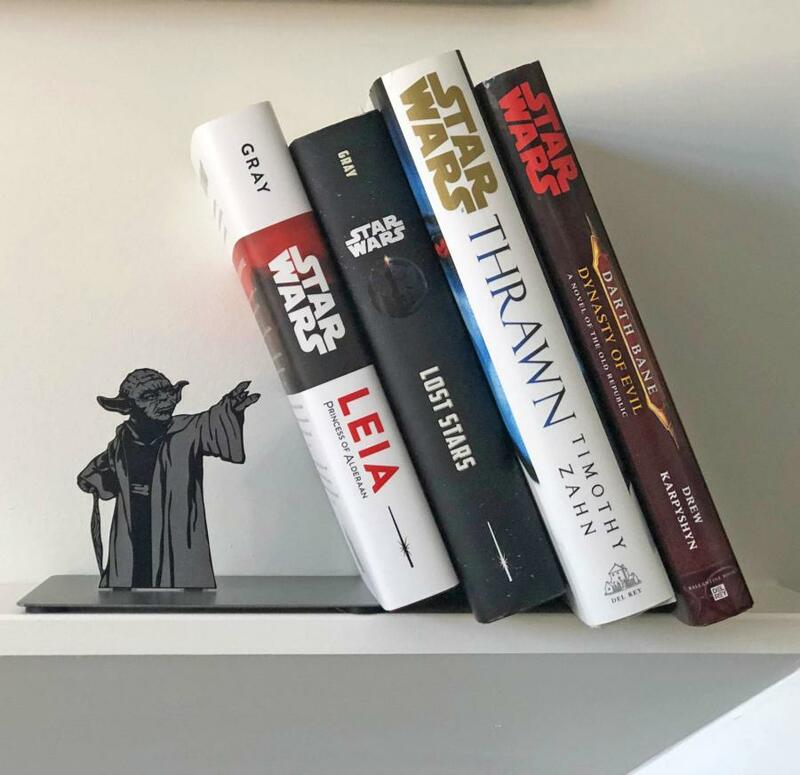 The way it works is, you lean a few books up against the bookend, but the last book that's closest to Yoda, you put the cover over the edge of the bookend so that it looks like nothing is holding the books up besides Yoda using the force! 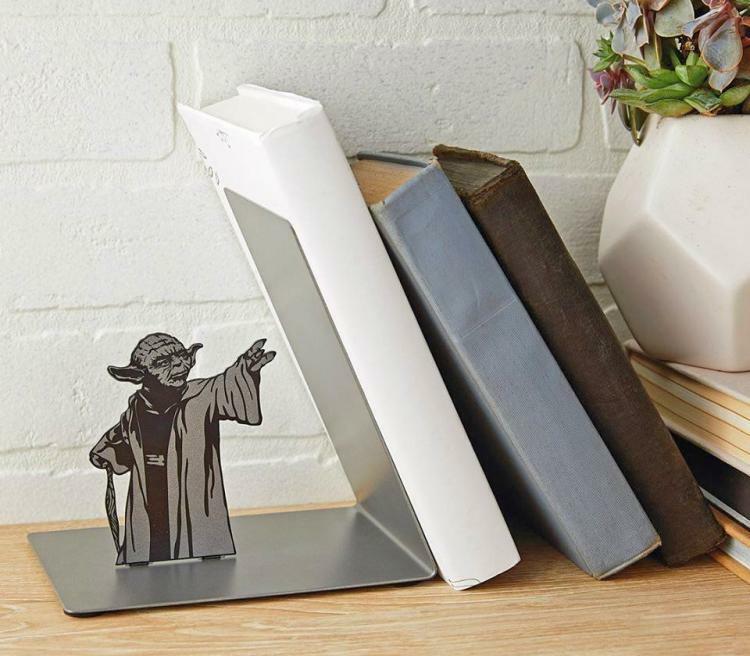 The funny Yoda bookend lets you easily hold up your favorite Star Wars themed books, hardcover books, paperback books, DVDs, Blu-Rays, etc. 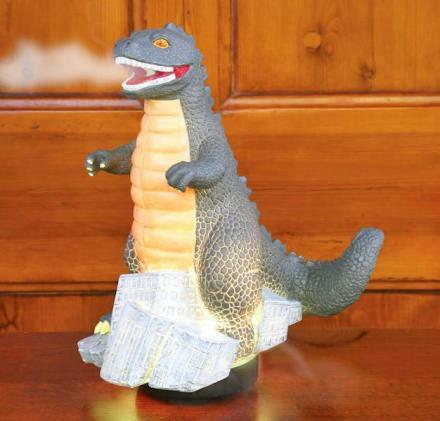 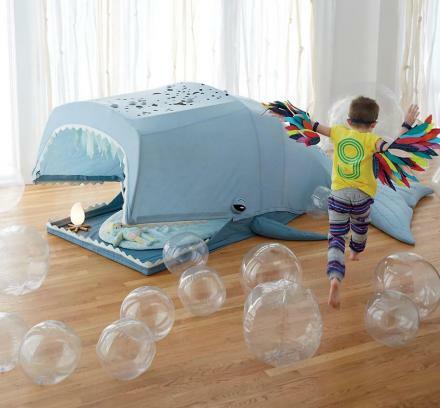 Though the look best when you can tuck a cover over the edge of the bookend. 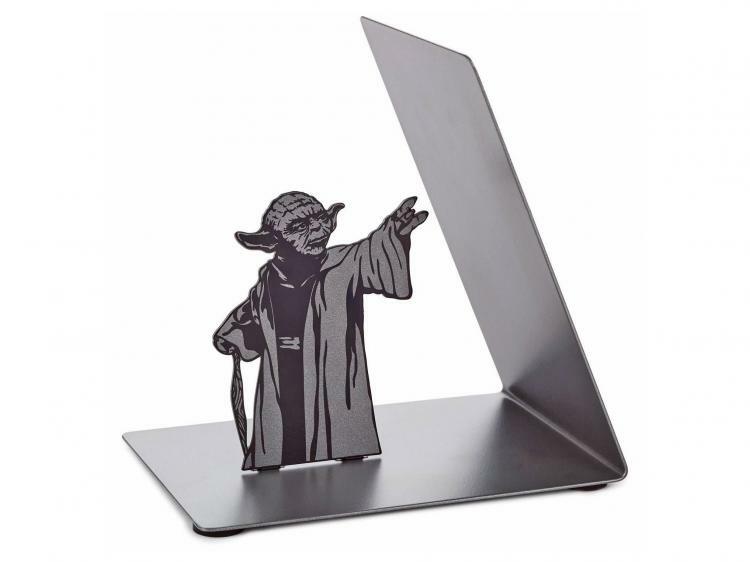 The Star Wars Yoda bookend is made from metal, requires one simple step to setup which is clipping Yoda into the bookend base, and measures 6.8 inches tall x 6.4 inches wide x 5.4 inches deep.